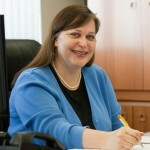 At the time of her fellowship Robin Dunn Marcos was the regional director of International Rescue Committee’s Arizona office. She provided refugee relief and resettlement services for more than nine years in Africa during the late 1980s and early 1990s. IRC has helped resettle thousands of refugees in Maricopa County. She holds a Bachelor of Arts degree in international relations from Eckerd College and a Master of Arts degree in intercultural administration from the School for International Training in Vermont. “In order to become a better advocate for refugees and help educate the community about forced migration, I attended Oxford University’s Summer School in Forced Migration with 50 participants from around the world. Following the completion of the 15-day course, I took time for reflection and journaling. When I returned to Phoenix, I met with a local consultant who provided individual and group coaching in communication and presentation skills. “This experience helped me fulfill IRC’s mission because I have a better understanding of the legal framework of forced migration and more knowledge of the global response and the historical context. With this increased knowledge and understanding coupled with better communication and presentation skills, I can better educate our staff and my colleagues in refugee resettlement. Most importantly, I am a better advocate for refugees because of this experience. – Laura Larson-Huffaker, EMPACT – The Suicide Prevention Center, Inc. When Laura Larson-Huffaker began her fellowship, she was director of clinical services for EMPACT-SPC, where she provided oversight of all agency clinical services and programs. Ms. Larson-Huffaker is a certified professional counselor with experience in nonprofit behavioral healthcare and the private practice of psychotherapy. She holds a Master of Science degree in counseling from Arizona State University. 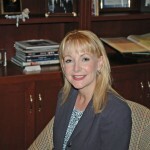 Ms. Larson-Huffaker was appointed executive director of EMPACT in 2006. “In an effort to strengthen my leadership skills and ensure an effective transition to executive director, I earned a Certificate of Professional Development from the Wharton School of Business at the University of Pennsylvania. “The unique aspect about learning at Wharton was that the classes were so diverse in student body makeup. I had the opportunity to hear ideas about leadership and company management from people in completely different settings than I interact with. I started out feeling out of place in the group, being from a relatively small company and one that is a nonprofit social services agency. But within a short time, I became more confident as I realized that despite our different backgrounds, as people, and as leaders, we all had our individual strengths and weaknesses, and we all had many of the same ideas about handling issues that were common to many. These ranged from handling mergers (which my agency had just undergone) to dealing with staff morale issues. Katrina Pappas began working at Chandler Center for the Arts in 1988, and was appointed Manager in 1998 overseeing a staff of 30 and more than 200 volunteers. The center had three theaters and an exhibition gallery and presented performing and visual art programs year-round and was named the Outstanding Organizations for the 2005 Governor’s Arts Award “Community“category. She holds a Bachelor of Science degree in arts management from Northern Arizona University. 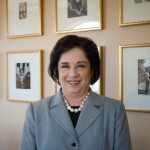 During her fellowship, Ms. Pappas attended an eight-day Non-Profit Leadership Institute at Georgetown University in Washington, D.C., visited nine museums and theaters, and met with senior staff of the Kennedy Center, National Theatre, and Ford’s Theatre to learn about best practices in arts management. She attended Second City Theatre’s Intensive Improvisational Theatre Workshop in Chicago. Finally, she met with several Tucson-based arts organizations to learn about best practices in arts education, reaching Hispanic audiences, and marketing. “The Georgetown University program profoundly expanded my perspective on leadership and renewed my passion for nonprofit service. The program put me in the company of some of the brightest leaders of today’s nonprofit America, all of whom are driven by a common mission to improve the well-being of others. “The Second City program was incredibly difficult, and I was somewhat overwhelmed during the class given the fast-paced nature and intensity of the improvisational work. However, after going through such a demanding process, I now find it much easier to speak in front of a group. – Luz Sarmina, Valle del Sol, Inc.
Luz Sarmina was president and CEO of Valle del Sol, Inc. when she was awarded her fellowship. Under her leadership the agency, which provides behavioral health, social services, and Latino leadership development increased annual revenues from $3 million to $10 million and staff increased from 56 employees to more than 200. Ms. Sarmina holds a Master of Science degree in social work from Arizona State University. “With the goal to learn as much as possible about fund raising in preparation for a capital campaign, I attended The Center on Philanthropy at Indiana University, The Fund Raising School. I participated in five courses over an eight-month period about the basics of fundraising, planned giving, interpersonal relationships, major gifts, and capital campaigns. Upon completion, I received the school’s Certificate in Fund Raising.